The human body has over 60 trillion cells, and every one of them is vulnerable to the development of multiple diseases. One of the biggest problems facing medicine is how to diagnose these diseases earlier, in order to improve the chances of stopping and reversing them. Diabetes – The classic tests for diabetes are for total glucose levels or the AIC test, which provides a 90-day window of glucose fluctuations.5 If patients are diagnosed with pre-diabetes, there is still a chance for reversal of the condition, but this will rarely happen by using prescription medications. However, there is another test called the glucose tolerance test that can detect problems in cells 5 to 7 years before someone is diagnosed as pre- diabetic.6 By using this test, a person diagnosed with a weakened pancreas, or insulin resistance, could make changes in their diet and exercise program and never be diagnosed as pre-diabetic. There are five specific sequential stages of cellular deterioration, and they are based on the electrical output mechanism in every cell. All cells have an energy production mechanism called mitochondria.10 In this energy factory, glucose and oxygen combine to make energy needed by the cell to do its job. Every cell is busy making hormones or neurotransmitters, creating images in our eyes, allowing our heart muscles to pump out blood or helping our lungs to fill with air and push oxygen out to our cells. Without energy, none of these cellular functions could occur, and this is the key to how the body is able to not only provide an early warning system for disease, but also allow for the reversal of these cellular challenges before disease can even happen. These factors cause the cell to speed up its activity in order to compensate for a cellular challenge, which in turn can create inflammation and the generation of increased heat.12 For example, the previously mentioned glucose tolerance test and thermography are classic examples of methods used to detect cellular stress or inflammation. 2. Weakened – This is the second stage of cellular deterioration. When cells have been under stress for too long, they become weakened. In this stage, cells produce less energy because they are exhausted and begin to lose their ability to perform their tasks in a normal fashion. As such, they become vulnerable to cellular challenges, such as germs and other outside invaders.13 Our normal immune defenses become overwhelmed and we start to experience symptoms such as headaches, fatigue, mood changes, muscle cramps, poor sleep patterns, poor vision or the inability to focus. 4. Mutated – If a cell has been dysfunctional for too long, its defenses become seriously compromised. Cells get bombarded with millions of attacks by free radicals (oxidative toxins) from a variety of sources everyday, and eventually these free radicals reach the nucleus of the cell and start to erode it.18 This causes the nucleus of the cell to begin to lose some of its genetic integrity, as well as the program built into the cell to guide its functions. This mutated cell has a few weeks to repair the damage, but if it can not perform this repair in a timely manner, the mutation continues to advance, causing even more cells to become mutated.19 When cells are eventually replaced, which most cells are, they are replaced with mutated cells instead of new healthy ones. This has created the perfect storm for the next stage of cellular deterioration, the disease stage. Liver cells lose its ability to neutralize toxins, as well as construct and store nutrients. Pancreas cells lose their ability to make enzymes and insulin, which combines with glucose to make energy in the cell. Brain cells lose their ability to produce neurotransmitters, which prevents them from sending signals to neuron receptors. Disease Reversal Explained – Nearly every chronic disease has been prevented or reversed thousands of times, and this has been documented in countless articles and books. There has been some explanation about how this has been accomplished. However, there is one example that may explain this process as well or better than any other. This example is based on a small clinical study of kidney disease. All of the patients were on dialysis at the beginning of the study. Each patient was given 180 mg of Co-enzyme Q10 daily for a three-month period. At the end of the three months, kidney function tests indicated that 50% of patients were able to be taken off of their dialysis.23 Most doctors would say this is impossible because dialysis is considered the end stage of kidney disease. In the past, only a kidney transplant could save these patients. How was it possible to get 50% of these patients off of dialysis? This is where the five stages of cellular deterioration can offer a logical and scientific explanation. When kidneys fail, it is not usually due to all of the cells being diseased. Rather, it is often the case that some cells are in various stages of deterioration. None are functioning optimally, but if enough of them are not diseased, it is possible that the non-diseased cells could be revived and return to a normal state of functioning. Co-enzyme Q10 is known for its ability to help the energy factories in our cells to facilitate the energy production process.24 It also has strong antioxidant capabilities, specifically targeted in the nucleus of the cells. What if the patients experiencing a return to kidney function without the need for dialysis were experiencing the following stages of kidney cell deterioration? If 70% of the cells of the kidneys were revived, could patients be taken off of their dialysis? The answer is obviously yes. The question that then follows is, “Why did the other 50% not experience this same reversal of cellular health?” The answer clearly lies in the proposition that too many cells had already advanced to the mutated or diseased stages. EDS is not intended to diagnose any disease. It can determine the electrical or energy status of cells within any organ or system. EDS is subject to errors based on practitioner expertise and the quality of the EDS equipment utilized. Once a low or high EDS reading has been established, the trained health practitioner can use evidence-based treatments, based on the organ or system tested, in order to improve the energy balance in that organ or system. Fluctuations in EDS readings definitely relate to cells in the body being stressed, normal or weakened. Thermography – This test uses infrared heat sensing to determine if cells are producing heat caused by inflammation, angiogenesis or hyperactivity. It can detect over 200 early stage cellular changes. In terms of breast cancer, thermography can see problematic cells 8 to 10 years before mammograms can see anything. ALCAT – This blood test can detect various levels of food sensitivity, which can cause digestive issues, as well as other chronic conditions. This type of inflammation can also deplete energy from the immune system leading to increased vulnerability to illness. Electro Dermal Screening – This test measures the electrical output of our organs and systems producing an accurate early warning of impending disease. Electrical output will increase 5 to 10 years before most conventional medical tests can detect any developing health problem. C-reactive protein – This is a blood test that measures the amount of inflammation in our bodies, which is probably a better indicator of possible heart problems than cholesterol tests. Glucose tolerance test – This blood test measures the ability of the pancreas and our cells to process ingested sugar. It can indicate potential risk for diabetes 5-7 years before the A1C or total fasting glucose test. Vitamin D3 – This blood test measures the level of vitamin D3 in our blood, which is crucial for the prevention of many diseases. Women with high levels of vitamin D3 have a 77% lower risk for breast cancer. Early CDT lung test – This blood test can detect early cellular changes in lung cells; about 5 years before a CT scan. It is 91% accurate, whereas the CT scan has an accuracy rating of 51%. Galectin 3 – This is an early stage biomarker for heart disease and cancer. It measures potential fibrosis build up, which is the beginning of these diseases. NT pro BNF – This is a prohormone biomarker that is an excellent indicator of possible future heart problems. Low levels occur before any conventional heart symptoms do, which means it has value as an early detection test. There are over 80,000 chemicals in use in the U.S.
Every person has at least 700 contaminants in their body at any given time. Some toxins move in and out of the body in hours (arsenic), while others can stay in the body for 50 years (DDT). Toxins enter our bodies through food, air, water we drink and water we bath in. Toxins can also be transferred from mother to baby during pregnancy, and by touching our mouth or eyes. Chemicals or toxins can attack and damage the DNA of our cells, causing premature aging and disease. Cellular DNA damage can also produce genetic damage that can be passed on to our children. Dioxin – Impedes normal fetus development. PCB’s – Creates behavior and cognitive problems. DDT’s – Impedes normal breast milk production. Mercury – Causes attention, memory and learning problems. Endocrine disrupters – Some chemicals mimic hormones, causing the body to send incorrect messages. Lead – Impedes normal brain development. Carcinogenic chemicals – Cause cancer. All chemicals – Produce free radicals, which attack cells, causing almost every known disease. Blood, urine and hair testing can measure current toxic burdens. As toxins have increased, so have various toxin-related illnesses.37 Here is the projected increase in seven chronic diseases from 2003 to 2023. 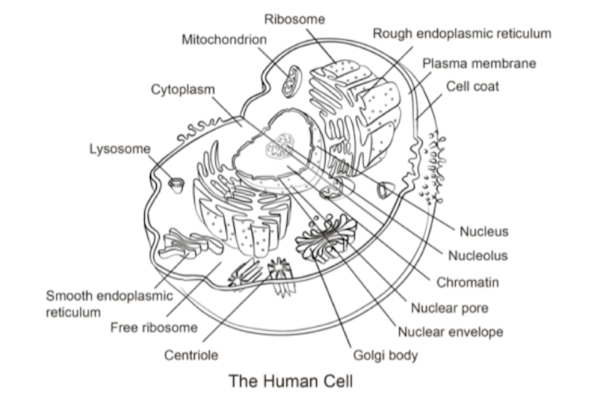 Within cells as part of energy production. Due to stress and the production of cortisol. From charcoal grilled meats and animal products cooked at high temperatures. Fried foods, hydrogenated oil, polyunsaturated fatty acids. Cell phones, computers, TV’s, the sun (EMR). Each cell gets 10,000 free radical hits per day. The body has 50-100 trillion cells. The body gets 7 trillion free radical hits per second. Cells go through 5 stages of deterioration; (stressed, weakened, dysfunctional, mutated, diseased). This deterioration happens over many years, due to high levels of free radicals and low levels of nutrients. The body needs 10,000 – 12,000 mg of antioxidants per day, and only gets about 5,000 – 6,000 mg. The soil has been depleted via poor farming techniques. Produce is picked before it is ripe. Produce is over processed, which depletes nutrients. Long storage and transportation depletes nutrients. Lack of adequate chewing causes nutrient loss. Cell permeability is a factor. (Caused by toxins, stress, saturated fat and other factors). People eat low nutrient foods. Those foods are also good for detoxification. Stress reduction via meditation, yoga and other techniques. Not over exercising (metabolic free radical production). Reduced use of cell phones, computers, television, etc. Use of sunscreens for protection from sunrays. Limit alcohol and sugar intake. Drink purified water (8-10 glasses per day). Eat organic foods as much as possible. Use natural, chemical-free household products. Avoid meat and dairy products. Avoid artificial foods, sweeteners, colors, etc. Avoid fast food, junk food and processed food. Better nutrition with whole organic foods, such as vegetables, fruits, nuts, seeds, omega fish, healthy oils, such as olive and coconut oil, and spices, such as turmeric and ginger. Detoxification using detoxifying foods like celery and asparagus, nutritional supplements, such as milk thistle and chlorella, exercise for sweating, saunas, massage and acupuncture. Stress management by avoiding stress, taking B supplements, deep breathing, meditation, using yoga or tai chi, and using essential oils and acupressure points known to reduce stress. Sleep improvement with seven to nine hours of sleep per night, not eating two hours before sleep, no coffee or stimulants several hours before sleep, calming audio messages or taking nutritional supplements, such as 5 HTP or melatonin, if necessary. Sleep helps the body to detoxify and balance itself. Exercise, including aerobic, resistance and stretching in order to improve the flow of oxygen, keep muscles and bones healthy, facilitate nutrient absorption, and balance our moods and emotions, as well as ensure proper functioning of insulin receptors for the production of energy and balancing glucose levels. Nutritional supplements are usually necessary to maintain good health and prevent disease. There are no good studies that prove otherwise, and there are over 15,000 studies proving the need for quality nutritional supplements. Symptom evaluation, blood tests and urine analysis can identify nutritional deficiencies very accurately. Self-help is good for some people in this identification of needed supplements, but a qualified nutritionist or a holistic doctor is also a good way to ensure the best utilization of this prevention tool. Finally, good information on prevention and reversal of disease is very important. Two books are recommended and should be in everyone’s health library. The Encyclopedia of Natural Medicine (Third Edition) by Michael Murray, N.D. and Joseph Pizzorno, N.D.
Disease Prevention and Treatment (Third Edition) by Life Extension Foundation. Bland J.S., The Disease Delusion. New York, NY; Harper Wave, 2014 (P.35- 36). Marsano L., et al., Diagnosing and Treating Alcoholic Liver Disease and Its’ Complications, Alcohol Research and Health, Vol. 27, No. 3, 2003, pp. 247-256. Alshuler L.N., et al., The Definitive Guide To Cancer: An Integrative Approach to Prevention, Treatment and Healing (3rd ed.) Celestrial Arts, Berkley, CA. 2010 (P. 317). Hyman M., The Blood Sugar Solution: The Ultra Healthy Program for Losing Weight, Preventing Disease and Feeling Great Now! New York, NY., Little, Brown and Company, 2012 (p. 180). Desaulniers V., Heal Breast Cancer Naturally: 7 Essential Steps to Beating Breast Cancer, www.TCKPublishing, 2014 (pp. 228-229). Sinatra S., The Sinatra Solution: Metabolic Cardiology, Basic Health Publications, Inc. Laguna Beach, CA, 2005, 2008, 2011 (pp. 13-14). Diamond J.W., Cowden WL and Goldberb B., An Alternative Medicine Definitive Guide to Cancer, Future Medicine Publishing, Inc., Tiburon, CA, 1997 (Chapter 20, pp. 418-430, Dr. Speckhart). Ibid. (Chapter 34, pp. 1020-1030). Ingram C., Nutrition Tests for Better Health, Knowledge House, Buffalo Grove, Illinois, 2004 (pp. 314-316). LaValle J.B., Your Blood Never Lies: How to Read Blood Tests for a Longer, Healthier Life, Square One Publishers, Garden City Park, NY (pp. 149-197). Hyman M. and Liponis M., Ultra Prevention: The 6-Week Plan That Will Make You Healthy For Life, Atria Books, New York, NY, 2003 (pp. 69-90). Cohen S., Drug Muggers, Rodale, New York, NY, 2011 (p.3). MacWilliam L., Comparative Guide to Nutritional Supplements, Northern Dimensions Publishing (3rd Edition), Vernon, BC, Canada, 2003 (pp. 7-9). Saltsman K., The Last chapter: Cellular Aging and Death, NIH: National Institute of General Medical Sciences, http:publications.nigms.nih.gov (last reviewed April 22, 2011). Ornish D., Prevention is Worth the Money, Newsweek Magazine, April 23, 2008. Katz D., We Can Be Disease-Proof, The Huffington Post, Sept. 17, 2013, Updated November 17, 2013. Mercola J., Five Steps You Need to Address to Reverse Just About Any Illness, www.articles.mercola.com (August, 2015). Sing R.B., et al. Randomized, double blind, placebo-controlled trial of coenzyme CoQ10 in patients with end-stage renal failure, J Nutr Environ Med, 2003:13:13-22. Murray M.T. and Pizzorno J, The Encyclopedia of Natural Medicine (3rd edition) Atria Paperback, New York, NY, 2012 (pp. 89-91). Diamond J.W., Cowden WL and Goldberg B, An Alternative Medicine Definitive Guide to Cancer, Future Medicine Publishing, Tiburon, CA (pp. 1021-1032). Reminton D.W., A History of Electrodermal Testing, Presentation to the Utah State Medical Association, July, 1990 (4 – 7). Bens C.K., The Beginning of the End of the War on Medicine, Life Extension, April, 2015 (pp. 83-87). Reminton D.W., A History of Electrodermal Testing, Presentation to the Utah State Medical Association, July, 1990 (2-7). Bernstein M., Double blind food challenger in the diagnosis of food sensitivity in the adult, J. Clin Immunology, 1974; 54-165. Brewitt B., EDS Auto-regulation & Cell Signal Enhancement Bridges, ISSSEEM Magazine, Volume 7, Number 2/Summer 1996. Brewitt B., Quantitative Analysis of Electrical Skin Conductance in Diagnosis: Historical and Current Views of Bioelectro Medicine, Journal of Naturopathic Medicine (1996: Volume 6, Number 1). Bens C.K., Preventing Cancer at the Molecular Level, Green Med Info, December 20, 2016. Bland J., The Disease Delusion: Conquering the Causes of Chronic Illness for a Healthier, Longer and Happier Life, Harper Waye, New York, NY, 2014. Murray M. and Pizzorno J., The Encyclopedia of Natural Medicine (3rd Edition), Atria Paperback, New York, NY, 2012. Balchod, The Super Antioxidants: Why They Will Change the Face of Healthcare in the 21st Century, M. Evans and Company, New York, NY, 1998, p 7. Pizzorno J., The Toxin Solution: How Hidden Poisons in the Air, Water, Food and Products We Use Are Destroying Our Health, Harper Collins, New York, NY. Feb. 2017. Davies K., “Oxidative Stress, the Paradox of Aerobic Life,” Biochemical Society Symposium 1995, 61:1-31. Klatz, R. and Goldman, R., The Official Anti-Aging Revolution, Basic Health Publications, Inc., Laguna Beach, CA, 2007 (Fourth edition). Baker S.M., Detoxification & Healing: The Key to Optimal Health, Keats Publishing, New Canaan, CT, 1997 (p. 124). MacWilliam L., Comparative Guide to Nutritional Supplements, Northern Dimensions Publishing, Vernon, B.C., Canada, 2003 (p. 7). Krebs S., et al. Americans Do Not Meet Federal Dietary Recommendations, Journal of Nutrition (online), August 11, 2010. (National Cancer Institute Study of 16,338 people). Bens C.K., Preventing Cancer at the Molecular Level, Green Med Info, December 20, 2016. (p. 7 and p. 11). Organic Consumers Association, Is Conventional Produce Declining in Nutritional Value? Life Extension Magazine, March, 2001. (www.organicconsumers.org). Mercola J., More Than Half of Americans Have Chronic Illnesses, November 30, 2016 (www.articles.mercola.com). Nestle M., What to Eat, North Point Press, New York, NY. 2006. Charles Bens has a Ph.D. in nutrition and uses Functional Medicine as the foundation for his wellness consulting company Healthy at Work in Sarasota, Florida. He uses nutritional education, along with other natural wellness tools, to help employees make difficult lifestyle changes such as losing weight, smoking cessation or the prevention and reversal of chronic illnesses such as Type 2 diabetes. Employees seem to appreciate the impressive science behind these educational programs which include workshops, webinars, newsletters, articles and online coaching. 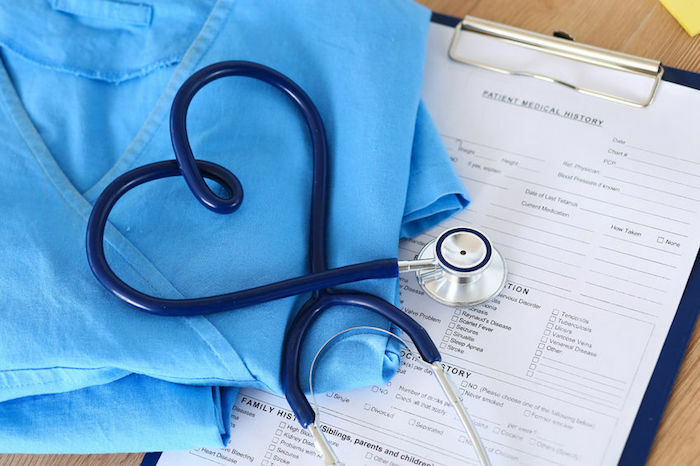 In this article Dr. Bens presents the compelling science behind Functional Medicine, which clearly illustrates that this natural approach is safer, more effective and much less costly then the conventional approaches used by most employers and their healthcare providers.